Ranveer-Deepika’s wedding is one of the most anticipated events of 2018 and it has already started. Last month, Deepika Padukone and Ranveer Singh shared their invitation card in social media announcing their wedding on November 14th and 15th this year. Surely the date is coming near rapidly and it seems like the festivities have already started. In the recent pictures, the groom to-be is seen with Shanoo Sharma enjoying the genda-phool decoration quite candidly. Being one of the biggest weddings of the year after Sonam Kapoor, Ranveer Singh seems as-always, full of enthusiasm to get married. Ranveer wore a white kurta for the haldi ceremony and his joy and enthusiasm to getting married is clearly visible. 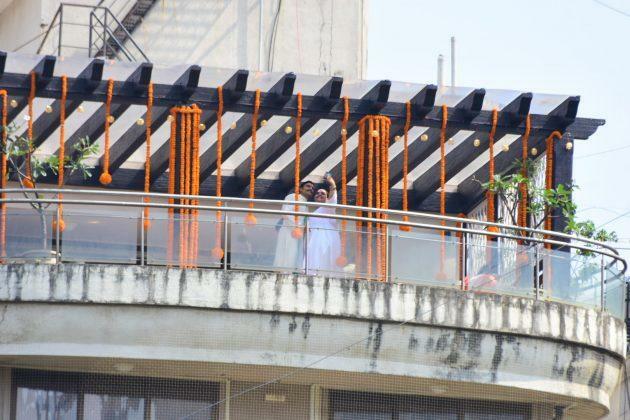 As per the reports, Haldi ceremony was celebrated at Ranveer’s place in Bandra, Mumbai. Ranveer’s family and close friends came to celebrate this auspicious day. Just a few days ago, we also saw the bride-to-be, Deepika attend the family Nandi Puja in Bengaluru. 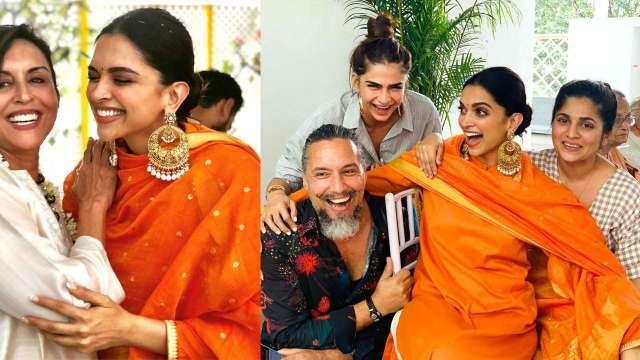 Deepika wore a radiant sunny orange Sabyasachi Mukherjee churidaar. She looked gorgeous to say the least and happy as ever. As per the reports, the main events of marriage are going to take place in the scenic Lake Como, Italy. The two are expected to get married in the traditional Konkani style, as Deepika’s mother tongue is Konkani and belongs to the Saraswat Brahmin community from Karnataka. On 15th, there will also be a Sindhi style wedding as Ranveer’s roots are of Sindhi. The couple is also, expected to throw various reception parties to get blessed from their loved ones in various cities and Mumbai is going to get a grand reception on December 1.